"You might have heard of a comet ISON, which may become a spectacular naked-eye comet later this fall," said Amy Mainzer, the principal investigator of NASA's NEOWISE mission at the Jet Propulsion Laboratory in Pasadena, Calif., and self-described cosmic icy dirtball fan. "But if you have the right conditions you don't have to wait for ISON. 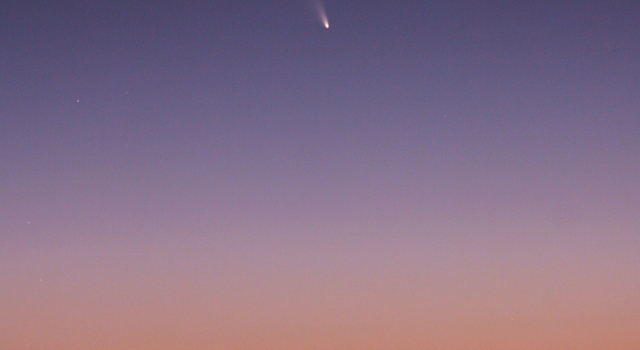 Within a few days, comet PANSTARRS will be making its appearance in the skies of the Northern Hemisphere just after twilight." Discovered in June 2011, comet 2011 L4 (PANSTARRS) bears the name of the telescopic survey that discovered it -- the less than mellifluous sounding "Panoramic Survey Telescope and Rapid Response System" which sits atop the Haleakala volcano in Hawaii. 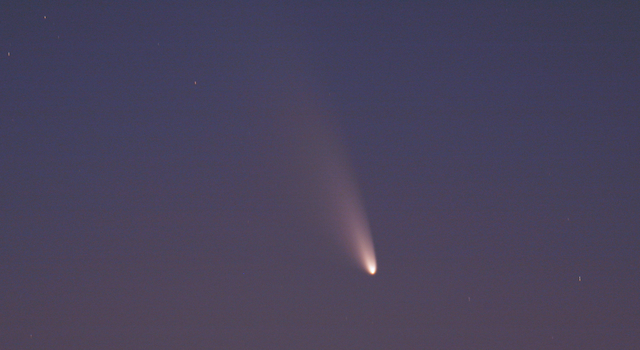 Since its discovery a year-and-a-half ago, observing comet PANSTARRS has been the exclusive dominion of comet aficionados in the Southern Hemisphere, but that is about to change. As the comet continues its well-understood and safe passage through the inner-solar system, its celestial splendor will be lost to those in the Southern Hemisphere, but found by those up north. Well, there is one more issue -- the time of day, or night, to view it. By March 8, comet PANSTARRS may be viewable for those with a totally unobstructed view of the western horizon for about 15 minutes after twilight. 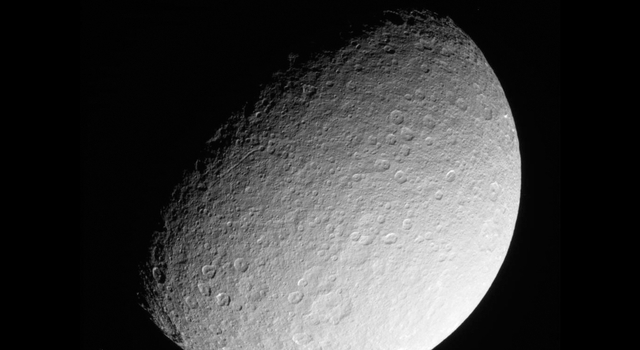 On March 10, it will make its closest approach to the sun about 28 million miles (45 million kilometers) away. As it continues its nightly trek across the sky, the comet may get lost in the sun's glare but should return and be visible to the naked eye by March 12. As time marches on in the month of March, the comet will begin to fade away slowly, becoming difficult to view (even with binoculars or small telescopes) by month's end. The comet will appear as a bright point of light with its diffuse tail pointing nearly straight up from the horizon like an exclamation point. 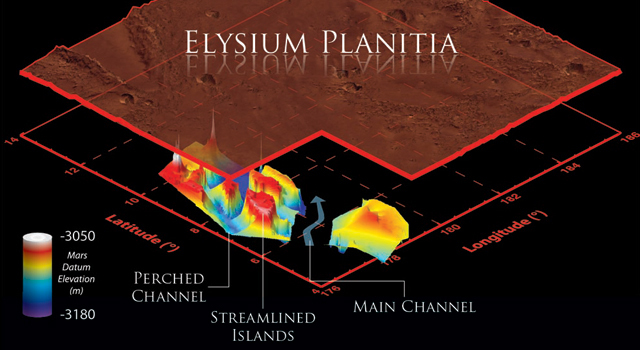 What, if any, attraction does seeing a relatively dim naked-eye comet with the naked eye hold for someone who works with them every day, with file after file of high-resolution imagery spilling out on her computer workstation? "You bet I'm going to go look at it!" said Mainzer. 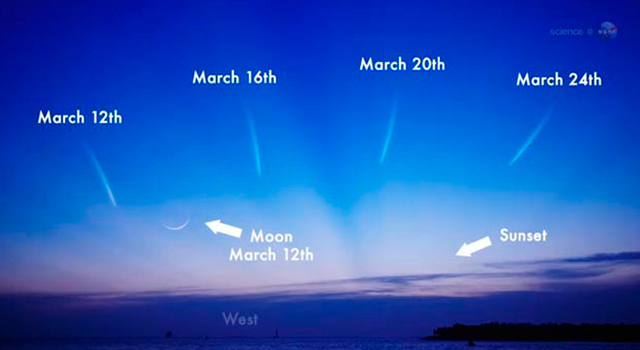 "Comet PanSTARRS may be a little bit of a challenge to find without a pair of binoculars, but there is something intimately satisfying to see it with your own two eyes. If you have a good viewing spot and good weather, it will be like the Sword of Gryffindor, it should present itself to anyone who is worthy."